St. Louis is an independent city on the eastern border of Missouri, United States. With a population of 318,172 in July 2012, it was the 58th-largest U.S. city at the 2010 U.S. Census. The metropolitan St. Louis area, known as Greater St. Louis, is the 15th-largest metropolitan area in the United States with a population of 2,795,794. 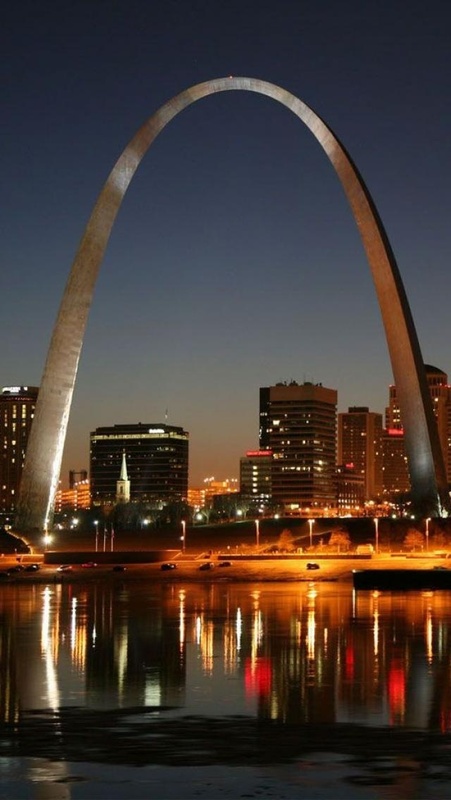 The city of St. Louis was founded in 1764 by Pierre Laclède and Auguste Chouteau, and named for Saint Louis. After the Louisiana Purchase, it became a major port on the Mississippi River. Its population expanded after the American Civil War, and it became the fourth-largest city in the United States in the late 19th century. It seceded from St. Louis County in March 1877, allowing it to become an independent city and limiting its political boundaries. In 1904, it hosted the Louisiana Purchase Exposition and the 1904 Summer Olympics. The city's population peaked in 1950, then began a long decline that continues in the 21st century.